Following a long and deep musical apprenticeship dating back to the emergence of his first outfit Screaming Trees in 1984 and snaking its way through the decades and just as many collaborations, Mark Lanegan has found enough confidence in his own body of work to boldly present ‘An Evening With Mark Lanegan’, which acts as an expedition into his creative atmosphere – all air and outside, moving further away from the city and deeper into open plain with every passing song. ‘Judgement Time’ basks in beautifully skewed simplicity while ‘The Gravedigger’s Song’ spins its own driving brand of neo-dusk blues, and between them both The Gravedigger himself refuses to address the room, he simply carries it. Lanegan repeatedly steps into his past throughout the 24-track set – unearthing the bite of Screaming Trees classics ‘Where the Twain Shall Meet’ and ‘Halo of Ashes’, while ‘Torn Red Heart’ goes on to paint a perfect picture of the 51 year-olds dream-like, fractured reality and ‘The River Rise’ fills the gaps in-between with a special kind of torn darkness. 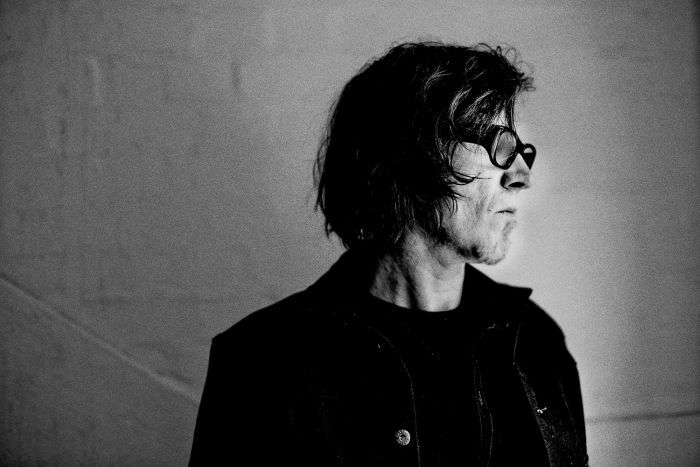 The drunk driving of Lanegan’s percussion-less set of sinister songs regarding strangers and poltergeists finally finds itself crashing into a ditch of sweetness as his take on Kurt Weill’s ‘Mack The Knife’ moves boldly out of his ethereal atmosphere and is performed with the vulnerability, conviction and haunting nature of a man exploring his final days on earth. But in keeping with Lanegan’s mysticism, he counters such vulnerability with a fitting cover of Nancy Sinatra’s ‘You Only Live Twice’ – a song that delves into the idea that we all live lives outside of our grounded realities, and if the evening has been anything, its most definitely been an exploration of the benefits of a life spent holding onto imagination with a vice-like grip and refusing to let go.